In most ordinary kitchens, herbs and spices are used to boost the flavours of your ingredients and harmonise the overall composition. You don't have to use them, to make a nice meal..... but it does make a significant difference!. by dedicated Food for Thought producers. For this MEATS kitchen workshop, the farmers on Harmoney are providing you with three vibrational essences FOR FREE! Here below, you'll find the 3 vouchers for your supply, for your personal use. In using these vouchers you agree with the playful condition, mentioned on the voucher. If you feel this is making a difference to the quality of your life, you make an effort to return the favor. These farmers like to enjoy a good quality of life too. The producer of these can be reached through the website:" www.1ucompany.com". This essence gives access to all the educational material concerning extracting wisdom from emotions and experiences as it is stored in the Knowing ( the collective consciousness). When you use it just before you are using your MEATS kitchen, it gives your intuition ( inner tutor) direct access to the latest info available in the Knowing. It amplifies the voice of your intuition somewhat, so you've got 1-on-1 made to measure guidance in using this material, taking all you are right now, into account. This essence supports harmonizing various ingredients, in line with your preferred flavours and highest standards. Add a drop to the water, just before you arrange the pouch with the objects over it. This essence support you in juggling your different responsibilities in the outside world, in a practical way. Add a drop to the water, just before you are ready to drink it... which is just before you are re-entering the outside world again. 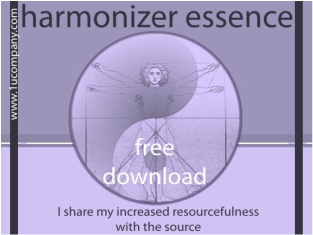 Download your own vibrational essences directly, for personal use, from the Knowing with these vouchers. Print them, put a glass of water on top of them on your bedside, during the night. Add 20% vodka or brandy to keep it well. Store in a bottle. 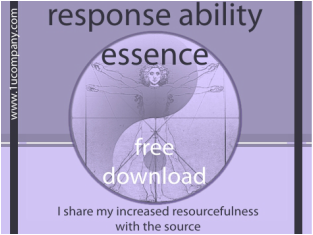 Please note where it says:" I share my increased resourcefulness with the source". That is refering to the playrights.